Alright people it’s Thanksgiving week! That means food, food, food, food! Oh, and of course family, friends and being thankful and stuff. In all seriousness though I am beyond thrilled to be going home on Tuesday. I need some serious relaxation/down time. What better way to unwind than with home-cooking? Every day this week I’ll be posting a tasty Turkey Day recipe. Warning: this may cause cravings, salivation, and a desire to cook. Bring a pot of water to a boil. While water is heating up, wash and chop cauliflower; slice garlic. 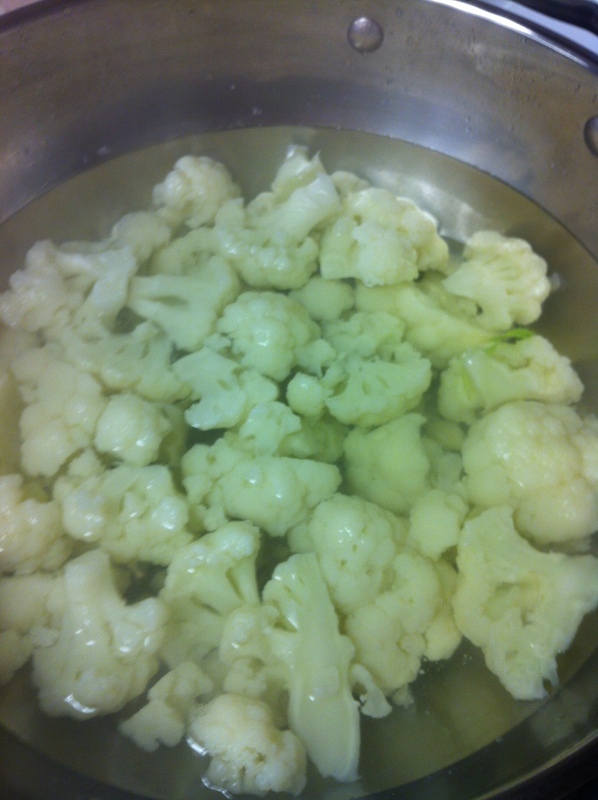 Once water reaches a boil, add cauliflower florets and stems, garlic, and salt (a few good shakes) to the pot. 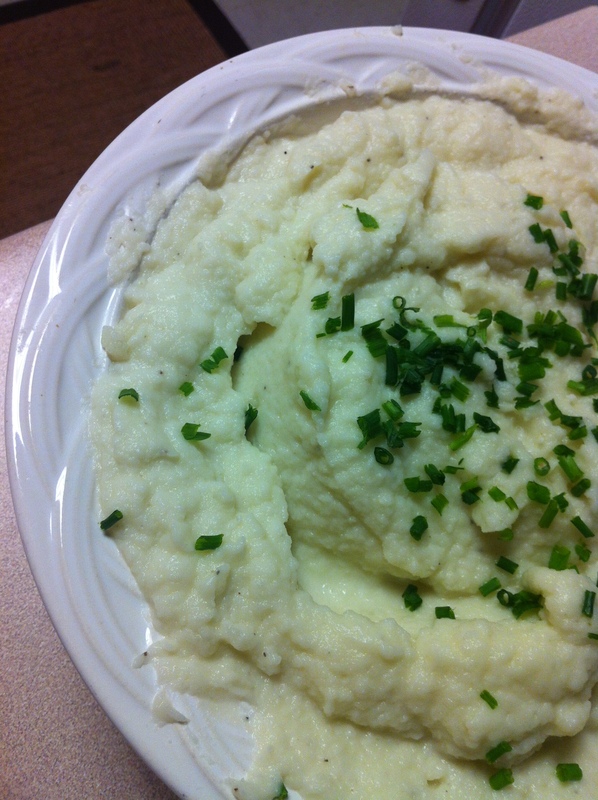 Let cauliflower steam until tender (about 6 minutes.) 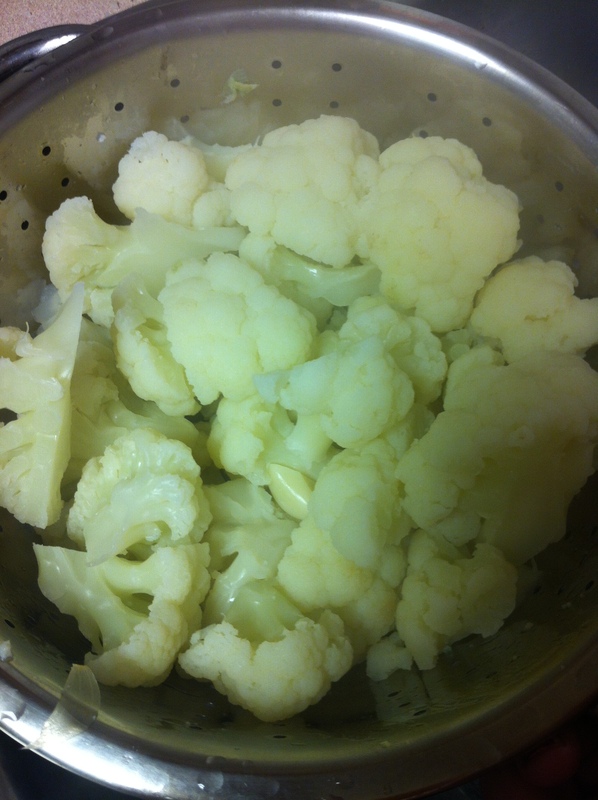 Drain cauliflower and put in blender or food processor with butter and pepper. 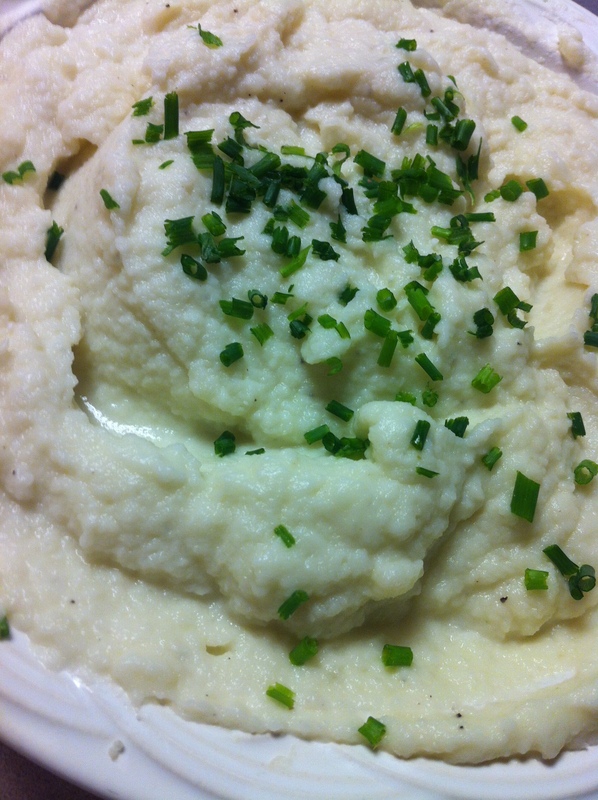 Once the cauliflower reaches the desired consistency (creamy or chunky), you’re ready to serve! Top with chives, sour cream, and cheese if desired.